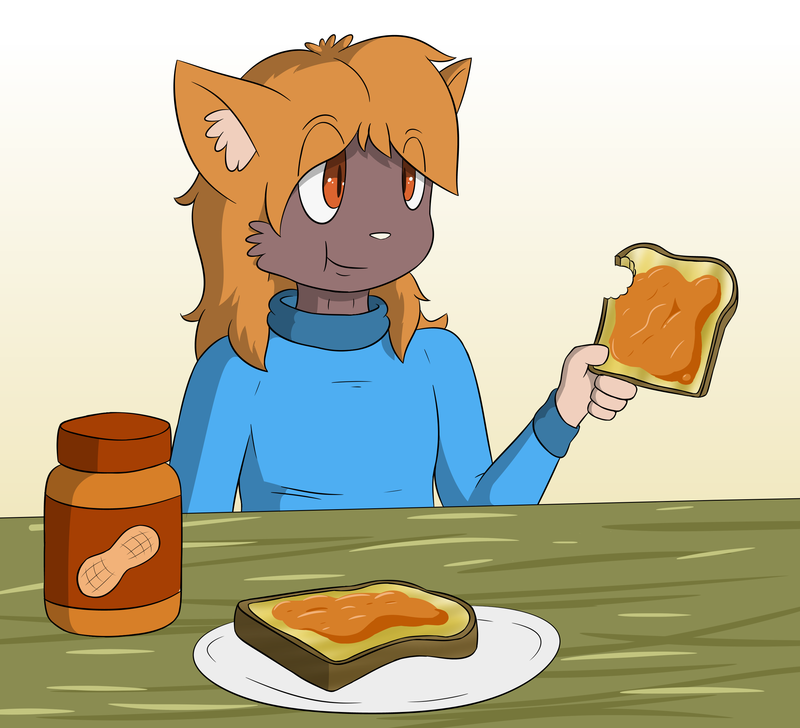 Day 5: "Draw your character eating their favorite food"
Peanut butter toast is probably the food I've eaten the most, so I'd consider it my favorite. Also peanut butter toast is just good whenever. Peanut butter toast? What made you decide to toast the bread before putting peanut butter on it? ...Because I don't want peanut butter in my toaster? .3.